169, Jalan 27, Kawasan 16, Sungai Rasa, 41300 Klang, Selangor, Malaysia. Srita Sendirian Berhad, established since 1979, is an importer / distributor specialized in fastening tools, machine tools, pneumatic tools & components, quick-connect couplings and fittings, hoses and tubings, industrial handtools, paint spray guns and other related products. Based in Klang with branch offices in Penang, Johor Bahru, Melaka and over 800 dealers across the country, Srita is well positioned as a reliable and trusted supplier of quality industrial products in Malaysia. 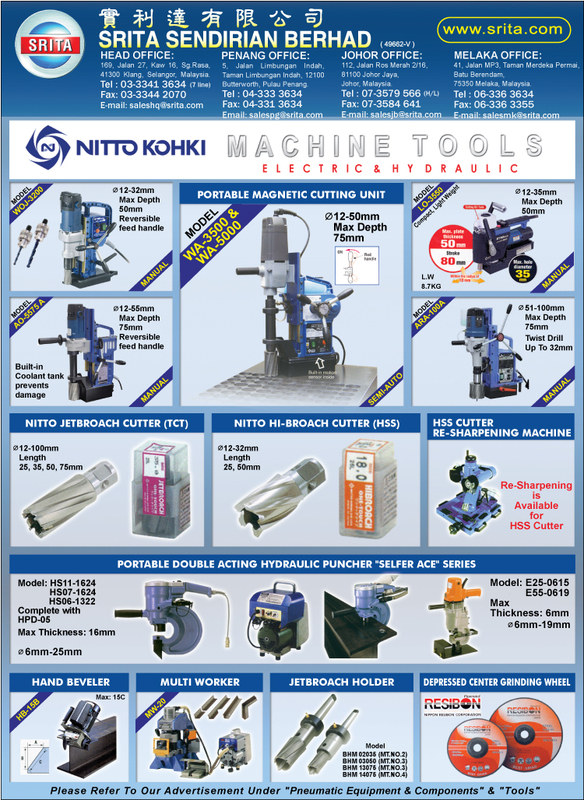 Machine Tools, Spares and Accessories. 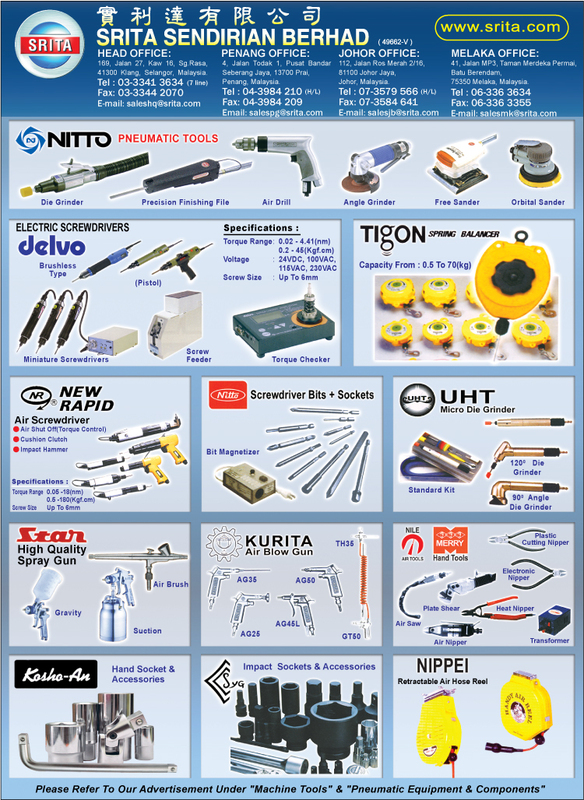 Pneumatic and Electric Tools, Consumables and Accessories. Driver Bits, Spring Balancers, Hose Reels. 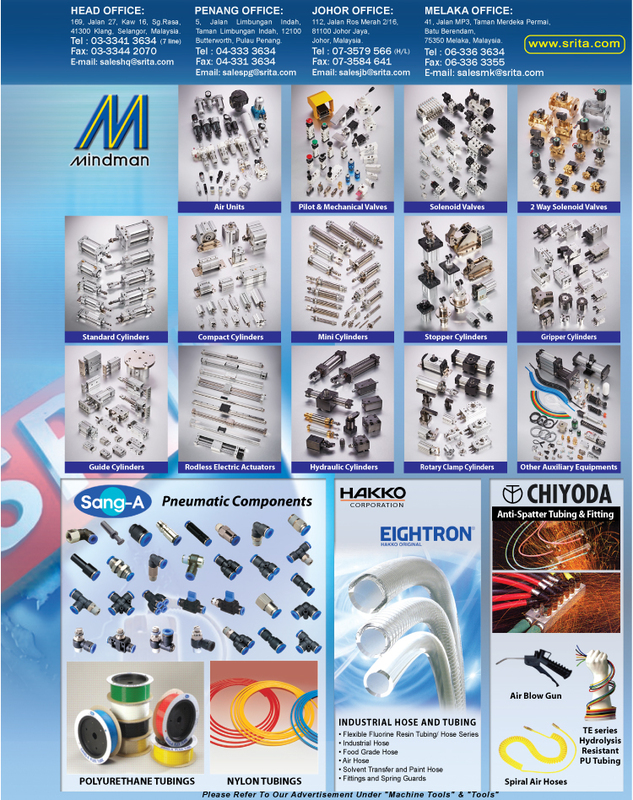 Couplers, Pneumatic Equipment Components, Tubings and Fittings, Air Compressors & Vacuum Pumps. 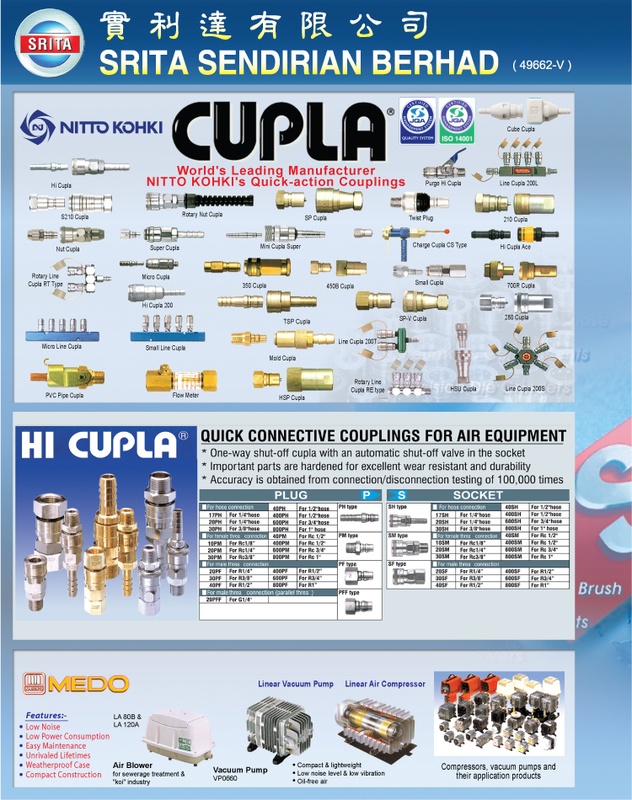 Hi-Cupla, Handtools, Air Dusters, Paint Spray Guns, etc. Srita is proud to be well-known for our strong after-sales support provided by our fulltime staff in the Service Department. Service and repairs are performed locally using procedures and jigs recommended by manufacturer. In line with its primary function, Service Department gathers actual product performance data crucial for product development.